We saw this on the Dr. Oz Show and had to try it because we personally struggle with periods of insomnia and because the tea is made using the whole banana, including the peel. We were quite curious about eating a banana peel. There are different types and severities of insomnia. For example, some struggle with insomnia in that they have difficulty falling asleep. For others, insomnia often wakes them up in the middle of night. Some forms of insomnia can be mild while for others it is severe. As always, consulting with your doctors is best. 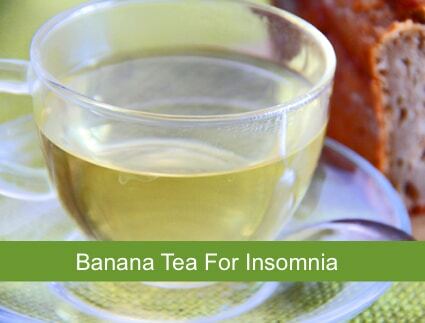 This banana-infused tea is best suited for those who struggle from the kind of insomnia that pulls you out of sleep in the middle of the night. In the same way taking magnesium in supplement form can help you maintain a good night’s sleep, the banana tea essentially does the same thing. The banana peel is rich in potassium and magnesium and drinking it as a tea helps your blood vessels and muscles relax, thus aiding in better sleep. Below is the link to The Dr. Oz Show website where they explain the recipe instructions to make the banana tea. As an alternative, you can boil a banana for 10 minutes and slice it into pieces sushi-style, sprinkle it with cinnamon (optional), and eat while warm. Yes, that means you eat the banana peel too. It’s surprisingly delicious and works as well as the tea. Makes for great bedtime snack. Why can’t I just eat a banana before bed? Why boil it and turn it into mush?